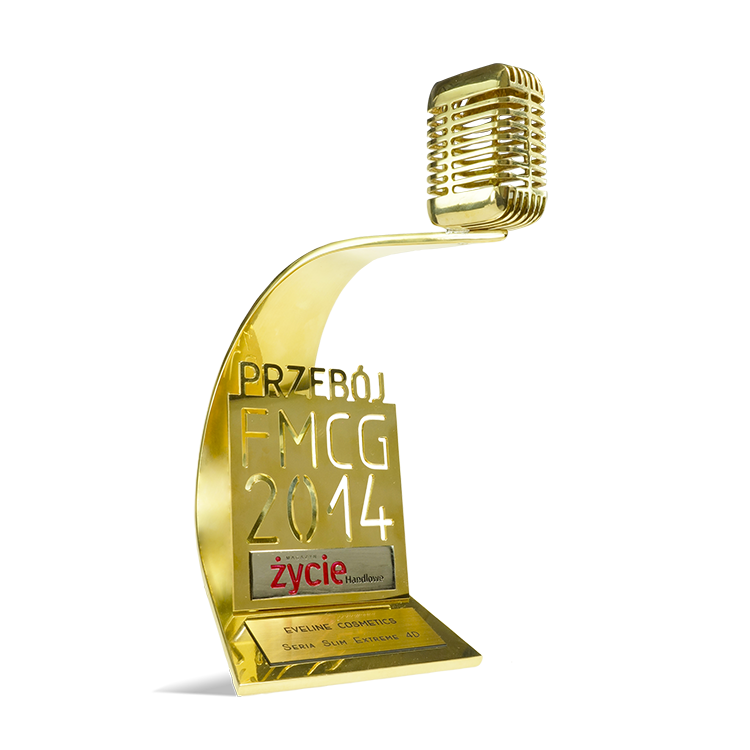 Slim Extreme 4D Series came first in “PRZEBOJE FMCG 2014” (FMCG Top) contest in the category body care cosmetics. SLIM EXTREME Series for many years has been a Market Leader both in sales and quantity value. This is innovative cosmetics series for slimming and modelling silhouette with i.a. argan, gold particles, hyaluronic acid, caffeine or diamond microcrystals. These are slimming products combining effectiveness of natural ingredients and modern technologies. They contain elements which effectively support slimming, while maintaining skin’s resilience. The series consists of over 20 products. „The FMCG TOPs” contest has been organised for the seventh time by Życie Handlowe (Sales Life) Magazine. This year the contest was conducted under supervision of Millward Brown research institute. The gala FMCG TOPs was the special one because it coincided with the twentieth anniversary of the newspaper. On this occasion editorial office of Życie Handlowe (Sales Life) decided to award special distinctions to the representatives of Polish trade. This year gala was hosted by the well-known journalist and a presenter Jarosław Kuźniar.